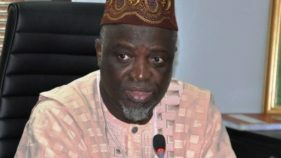 The Registrar of the Joint Admissions and Matriculation Board (JAMB), Prof. Ishaq Oloyede, has said that the 2019 general elections would not affect the board’s 2019/2020 examination. Every Nigerian youth wants to go to a university. It is every parent’s dream that their children graduate from a good university to ensure that they have a better life than theirs. That is a progressive situation except that the snag is everyone is facing the same direction: they want to attend the same tertiary institutions. 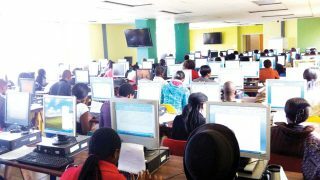 The Joint Admissions and Matriculation Board (JAMB) has said that there is no plan to review downward the fee of Unified Tertiary Matriculation Examinations (UTME) form from the current N7,500. 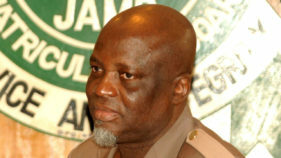 Nigerians can live together in harmony, despite their social and religious differences if they do not fall for cheap blackmail of narrow minded people who want to divide them to achieve their goals, the Secretary General of the Nigerian Supreme Council of Islamic Affairs, Prof. Ishaq Oloyede, has said. 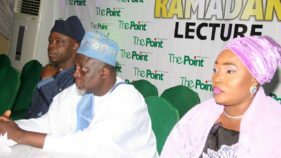 The Registrar, Joint Admissions and Matriculation Board (JAMB), Prof. Ishaq Oloyede, has stressed the need for all tiers of government in Nigeria to be accountable to the populace in the quest for growth and development. 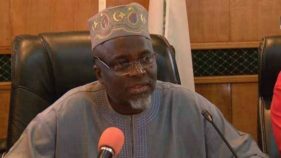 The Registrar, Joint Admissions and Matriculation Board (JAMB), Prof. Ishaq Oloyede, has stressed the need for all tiers of government to be accountable to the populace in the quest for growth and development. 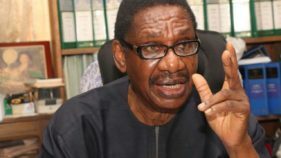 The Presidential Advisory Committee Against Corruption (PACAC) has sought clarification on the N36 million cash allegedly swallowed by a snake at the Joint Admission and Matriculation Board (JAMB). 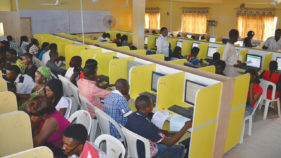 The Joint Admissions and Matriculation Board (JAMB) has pledged to resolve all examination issues before releasing the results of its Unified Tertiary Matriculation Examination (UTME).The Registrar, Prof. Ishaq Oloyede, disclosed this yesterday in Abuja, at a press conference on the conduct of the 2018 UTME.